Well it’s been an eventful Weekend, not only have I had the most popular blog post so far on the hack o blog with over 16,000 unique visitors my two posts about 4Chan, one basically about a piece of cardboard, I have found my new favorite social bookmarking site, at the moment I mostly just used Stumbleupon, but I’m trying to find in to more social venues. 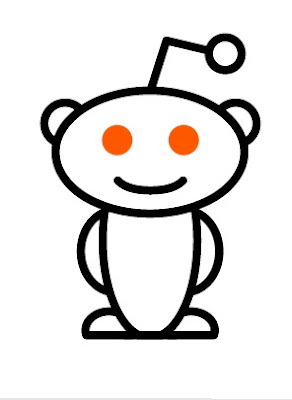 Reddit is my new favorite, the open source geek community driven web site, what I like about it, the community is engaging and bring good quality discussion to the table about a wide range of topics, most are liberal IT Geeks, but you do have the Geeket and the crazed nut job, I’m not 100% sure what I like about Reddit but I know I do. From the simple design to the developers speaking frank and telling the community exactly what is going on , and not fishing for moronic hart warming stores ( I’m looking at you Stumbleupon FaceBook) It’s a no frills approach to social bookmarking , I may be late in this game but I love it. My user-name is TheSkyNet so send me a message on Reddit.